Plan for directly elected mayors for Dublin, Cork ‘and perhaps other counties’ nearing completion. 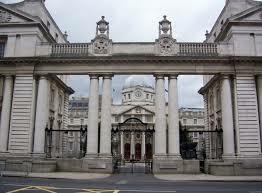 The Dail has been told that the Government does not have any plan to restore town councils. He said Minister of State, Deputy Phelan is currently proposing that town districts and borough districts would essentially function as area committees do now but could have the ceremonial functions that previously town councils and borough councils had. Some 80 town councils were abolished in 2014 as part of local government reform under the Fine Gael/Labour government. The Coalition also reduced the of councillors by more than 40% in the Local Government Bill published by Phil Hogan, the then Minister for the Environment. Three years later, Fianna Fail moved a Bill aimed at restoring the abolished councils. They described the scrapping of the councils as a “slash and burn approach to local democracy” that had deprived urban areas of a voice. Previous PostICSA urges farmers to get tough on beef priceNext PostFree Legal aid scheme ‘bonanza for lawyers’ – McGrath.